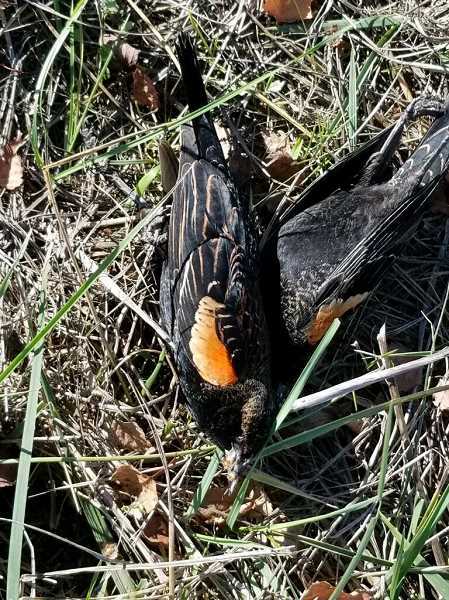 Oregon State Police are investigating after nearly two dozen birds were found dead in a field. 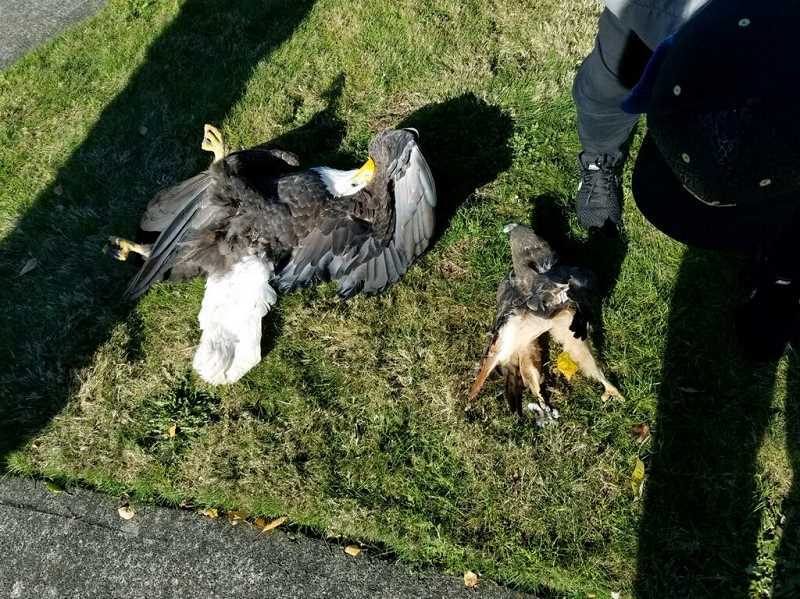 Authorities are investigating a strange case north of Hillsboro where more than 20 birds, including at least one eagle, appear to have dropped dead along West Union Road. On Monday, Nov. 12, about two dozen dead birds were discovered in the area near West Union Baptist Church, 22365 N.W. West Union Road, just north of Hillsboro city limits. 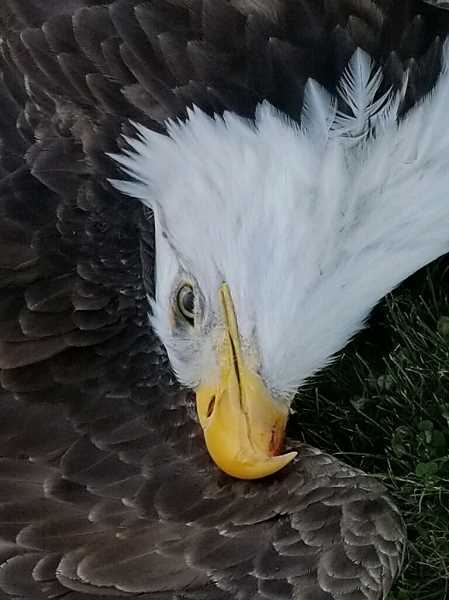 Investigators reportedly recovered a dead bald eagle from the scene, as well as two dead red-tailed hawks and more than a dozen blackbirds and other small birds, according to the Oregon State Police. The birds were first discovered by Anthony Dawson, an employee at Ligman Lighting USA, located across the street from where the birds were found. Dawson told Pamplin Media Group he had stepped outside on his lunch break at about 11:45 a.m., Nov. 12 to smoke a cigarette when he noticed something lying in a nearby field. Dawson, an avid hunter, grabbed a pair of binoculars from his truck and was able to make out the shape of a bald eagle. "It was lying on the ground with its face down and its wing over his head," Dawson said. "I said, 'I think it's dead.'" Dawson and another man investigated and found more dead birds scattered nearby. "About 20 feet from (the eagle) was a dead red-tailed hawk," he said. "My first assumption was that the two birds had gotten into a fight and killed each other, but when we started walking around the area we saw dead bird after dead bird." Near the eagle and hawk, Dawson found a dead pigeon, then another, then dozens of dead red-winged blackbirds. In total, Dawson counted about 20 dead birds in the area. According to the Washington County Sheriff's Office, at least one other dead red-tailed hawk was found nearby. The birds weren't shot, Dawson said, nor did they suffer any kind of obvious trauma. Dawson said he saw no blood on any of the animals, but did see something resembling foam coming from the eagle's mouth. Dawson suspects the birds may have been poisoned, but it will be several days, possibly weeks or months, before a cause of death will be identified. Sgt. Chris Allori with the Oregon State Police's Fish and Wildlife Division, said the birds' deaths are being investigated by Oregon State Police. The bodies of the birds will be sent to the U.S. Fish & Wildlife Service's Forensics Laboratory in Ashland. The lab is the only forensics lab in the world which works on crimes against wildlife. "We have no idea how those birds died," Allori said. "It could be months before we know anything for certain." Dawson said he enjoys watching the birds fly around his worksite. He said a pair of bald eagles are known to roost in the area, but he's not sure if the bald eagle that died is one of them. "It broke my heart to see these beautiful birds dead like that," Dawson said. "Those birds are just trying to survive. There's no reason any animal should be dead like that." Bald eagles are federally protected. Killing one comes with a $5,000 fine and up to a year in jail. After a necropsy is completed on the birds, the eagle's body parts will be harvested for use in Native American tribal ceremonies, Allori said.